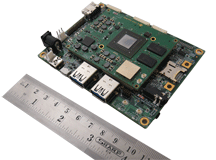 Tegra K1 Board, Propus has eSOMTK1 - Computer on Module & carrier board. 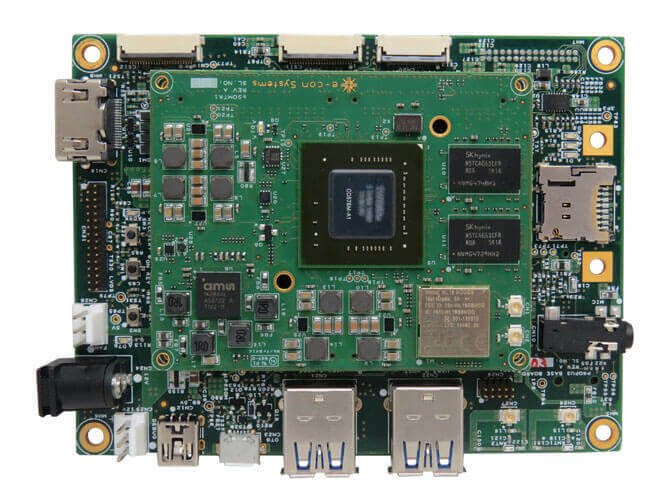 This Tegra K1 development board runs Linux/Android. 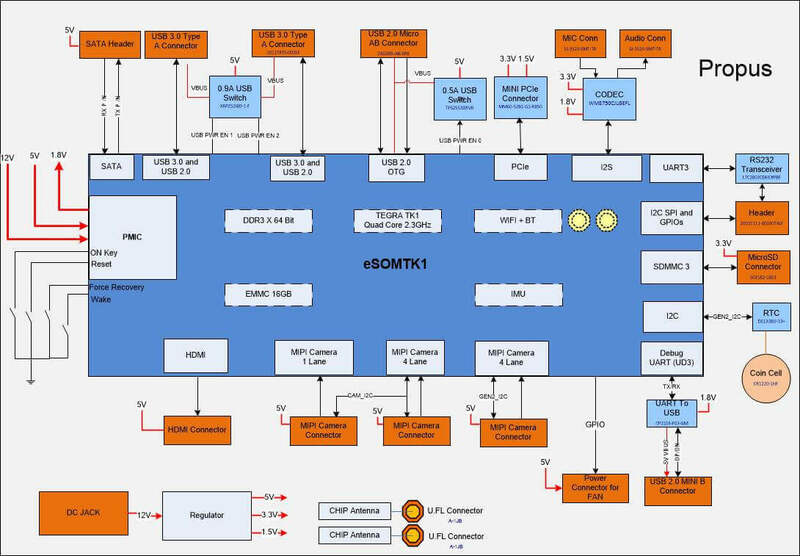 eSOMTK1 is based on NVIDIA's Tegra® K1 4-Plus-1™ ARM® Cortex™-A15 Quad core processor which can operate up to 2.2 GHz and Integrated NVIDIA Kepler™ GPU with 192 NVIDIA CUDA® cores. It has DDR3L SD RAM configurable up to 4GB and eMMC configurable up to 64GB. The eSOMTK1 module also has the Wireless LAN and Bluetooth module. NVIDIA's Tegra® K1 4-Plus-1™ ARM® Cortex™-A15 Quad core which can operate up to 2.2 GHz and Integrated NVIDIA Kepler™ GPU with 192 NVIDIA CUDA® cores. ACC-TK1-CUMI0330CAM is a 3.4 MP Custom Lens Low Light USB Camera Board for e-con’s Propus TK1 RDK. This AR0330 sensor based Camera provides MIPI-CSI-2 4 lane interface. This is a custom lens Camera board with S-mount interchangeable lens holder. ACC-TK1-CUMI1820CAM is a 13MP Camera board for e-con’s Propus TK1 RDK. This AR1820HS sensor based fixed focus Camera provides MIPI-CSI-2 interface. This is a custom lens Camera board with S-Mount lens holder. ACC-TK1-CUMI4682CAM is a 4MP Camera board for e-con’s Propus TK1 RDK. This OV4682 sensor based fixed focus Camera provides MIPI-CSI-2 interface. This is a custom lens Camera board with S-Mount lens holder. ACC-TK1-ETHPCIe Network Adapter interfaces with Propus - NVIDIA Tegra K1 development Kit through Mini PCIe Connector (CN8) Present in Propus Kit. ACC-TK1-ETHPCIe is an two Board Solution consist of ACC-TK1-ETHPCIe PCIe Card and RJ-45 connector cable. 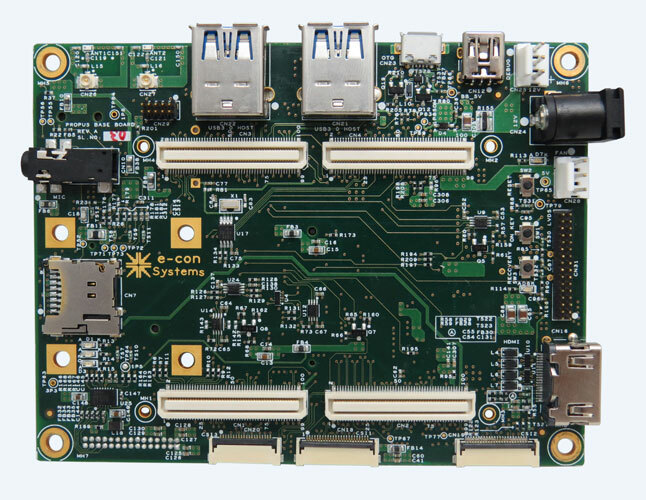 » When to choose the Tegra K1 based Propus kit over Jetson?